Coastal art by Gordon Frickers 22 x 30 cms (9″ x 12″), oils, price £550, ex studio, ex frame. 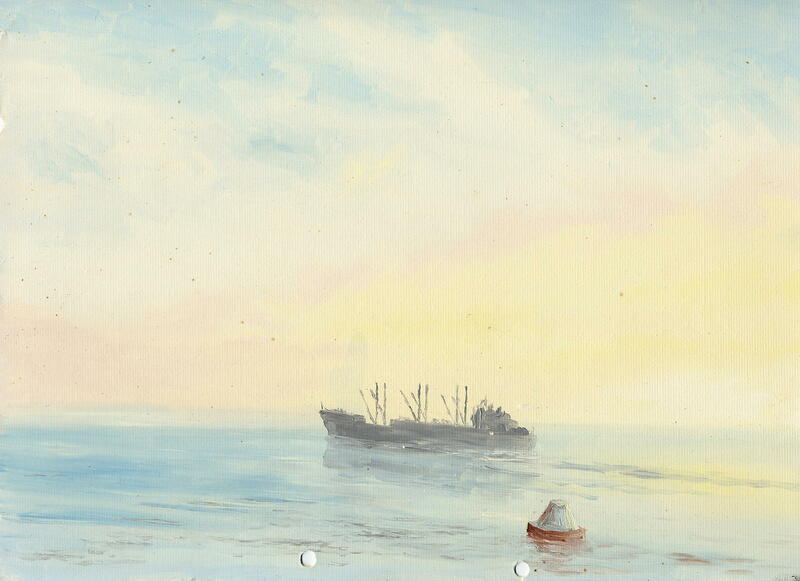 A painting made on location, plien aire, of a coaster off Par Beach buoy, having just cleared Par Docks , started life as a page in a sketch book. So soon all is history, the coaster and her sister have gone, the China clay trade after 200 years, ended from Par, the docks have closeddestined to become another marina, the working village of Par will second homes. At the time I did not realise what a sensitive, special and valuable work I’d painted, some one is going to be the lucky owner.